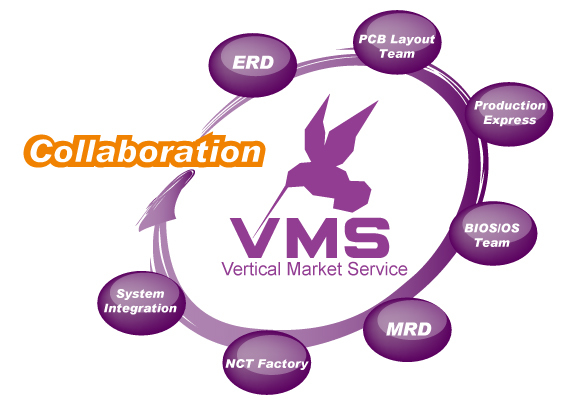 VMS is dedicated to supporting POS, Gaming, IVI, Lottery, and Medical market from board level to system level and always helps customers develop reliable equipments. Humming bird is the representative symbol to show the four features of VMS, Speed, Focus, Precision and Flexibility. Portwell experienced engineers and reliable manufacturing capacity deliver stable products for our partners to focus on the validation with end customers and speed up Time to Market requirement. Our customer can only provide his concept and VMS can build up a team which is made of Portwell H/W, S/W and mechanical engineers expertise to deliver a system solution accordingly.